This Easter is a beautiful and magical experience for our children, and it is also an energy we, as adults, can tap into and embrace. When you search on the internet the meaning of Easter, it states it is the oldest festival of the Christian church celebrating the resurrection of Christ. So what better time for us all to see this time as an honouring of hope, of renewal of spirit within. I grew up around very traditional church experiences, and for me, it took a lot of healing and letting go, of what I had picked up. God became for me someone who was judgemental and the words that stuck in my mind as a child were the heavily loaded words. So my view was of this force who could see everything and was there to punish you for all your sins. I was a sensitive child, and so I felt the harsh words and missed out on the good. It has been the same with a lot of my life, the harshness of a situation would cut me to the core, so my recall of the past was about these painful times. My ability to recall happy memories was lost for quite a period of time. Anxiety traps you in your own mind and everywhere you look there are knives coming at you, energetic ones. From people carrying heavy energy to situations that were painful. They all feed into this anxiety trap and accumulate within. It is in recent times that the process of laying my past to rest has actually had the most amazing side effect, it has freed me up so I can extract the good. There have been many dark times in my life where I thought that all I had was blackness in my past, now I have been able to resurrect my past and see it in a new light. For my journey in life, thus far; is now settling with this gentle peace. I have so many happy memories and I am so thankful I have reclaimed them. 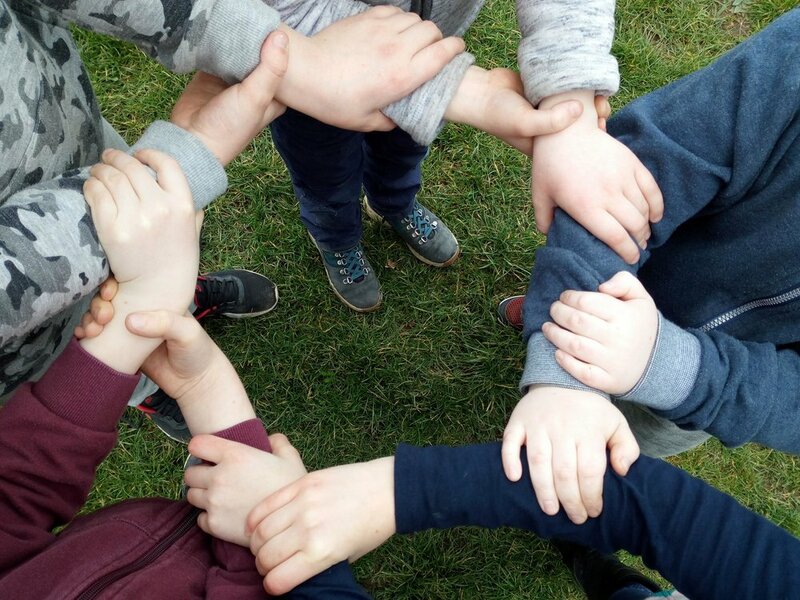 This blog has a wonderful picture attached to it, it is my son and some of his school friends linking hands and arms. It has such meaning to me, for each of these children are remarkable free spirits. One girl asked me afterwards why I was taking the picture like this and I explained it was to symbolise that we are all connected. She got it, and accepted this information. It takes a free spirit to ask a question and it takes a free spirit to understand the meaning when it is explained. My son goes to an independent school, Montessori inspired, and my son is blossoming. Why I chose this school? Because of my harsher childhood experiences with school. Every single experience we have, every memory, every wound, can be transformed, every. I looked deeply into the options because of my history. My passion for serving others comes from my understanding of suffering, I know I have tools to pass on and I am ready and willing to share them. My desire to support others with heart felt parenting is because I understand how eroding a child’s core means an adult who has to work hard to reclaim it. Preserving of childhood gives strong roots to the rest of your life. Respecting, listening, boundaries, allowing change, seeing them as the individuals that they are. So this, my very first blog on my website is a call to you all, to resurrect the Jesus within. For all the heaviness I absorbed as a child Jesus remained completely clear in my childhood, someone who was gentle, kind, wisdom itself and totally loving. We each have this opportunity to rebalance our lives. Extract the memories of light and love, and celebrate. So I call to every adult, as you lay your Easter surprises out for your children, honour this ceremony and say this is my resurrection. The resurrection of joyful moments, inner peace in the knowledge that wherever you have been, how many times you have felt crucified by your past; it is time to rise again. So join hands with your child in the celebration of Easter, connect with each other and support each other. The time is now; you are free.